UPDATE 2/11/19: BMW has released pricing for the 2020 7-series, and it's slightly more expensive across the board than the old car. We have updated the story with the full pricing details. 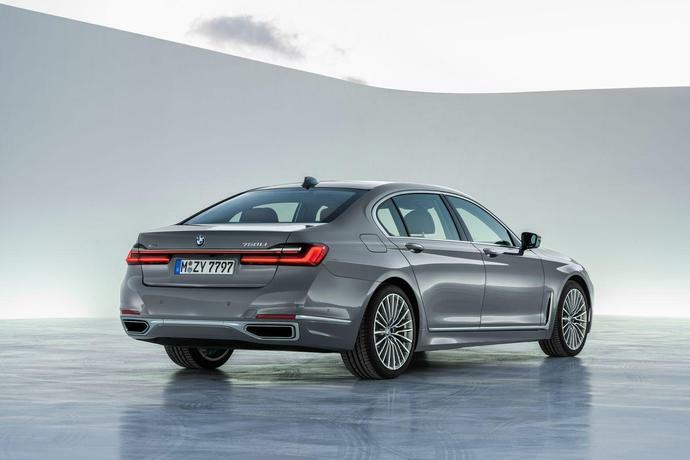 Also, the new Alpina B7 based on the latest 7-series has also been revealed, and with a top speed of 205 mph, it's the fastest sedan you can buy. BMW's flagship sedan, the 7-series, now matches its new X7 SUV counterpart thanks to its drastically enlarged kidney grilles. By BMW's own measurement, they're 40 percent bigger than before, and they lend a newfound sense of presence to the biggest Bimmer four-door, even if they look a bit ridiculous. Other changes to the 2020 7-series include updates for the optional V-8 engine, a revised plug-in hybrid model, and plenty of new tech features-including an option for hands-free driving under certain circumstances. For more information on the plug-in hybrid, see our full explanation of the gas-electric powertrain. Beyond the massive new grille, other visual changes include different taillights, new wheel designs ranging from 18 to 20 inches, and several new color choices, some of which are part of BMW's Individual customization program. Under the skin, there is additional sound deadening material and-to get really specific-new power-window motors that are said to be smoother. The updated 2020 7-series models go on sale in April. The six-cylinder 740i starts at $87,445, $2800 more than last year's model; like before, xDrive all-wheel drive adds $3000 to the price. The V-8 750i is now only available with xDrive, and at $103,645 is $2700 more than before. The $96,545 plug-in-hybrid 745e has received the biggest price jump over the model it replaces ($4300), likely because of the new powertrain. And finally, the range-topping V-12 M760i has gotten just $1000 more expensive, for a "base" price of $158,695.